I am committed to providing you with the ceremony that makes your day a special memory. I enjoy sharing my strengths at putting people at ease, assisting quietly in this special event and crafting the marriage ceremony that becomes part of your memories forever. I have been happily married for many years and am enjoying semi-retirement following a career as a educator, psychologist and university professor. I am an author of eight books with years of public speaking experience. The focus of my work has always been the management of stressful experiences, particularly health conditions. 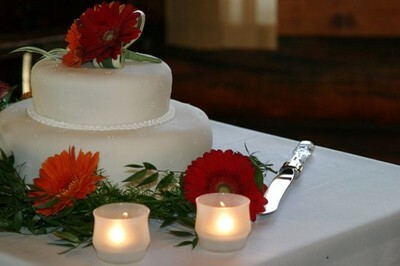 Although a wedding is a joyful occasion, it can have its stressors. I enjoy people of all walks of life, of all cultures and creeds. I want the uniqueness of each person and each relationship to come through in your wedding ceremony. Together we create the occasion that you want. It can be simple or complex, unique or conventional. You can take a large or small role in the creating the ceremony. Want a ceremony that has the tone you want? Want assistance tailoring it to include the touches you want? Want to know that whether you are relaxed or stressed, your commissioner will guide you through the process that will create good memories? If I can be of service to you as a Marriage Commissioner or provide you with information and/or guidance on being married in Alberta please contact me.